When planning a scuba diving trip to Thailand there is no shortage of stunning tropical islands to choose from. Deciding which island is the best fit for you can be overwhelming, so here are our top 10 island destinations for those seeking sun, sea, sand and scuba in Thailand! Koh Lanta is one of Thailand’s best known diving islands and it’s ideally located for accessing a range of dive sites, including those closer to Koh Phi Phi (King Cruiser Wreck, Anemone Reef and Shark Point). One of Koh Lanta’s biggest draws is Koh Haa with it’s pristine corals, clear waters and a plethora of marine life. Manta rays and whale sharks are also known to frequent the iconic sites of Hin Muang and Hin Daeng. When you’re not diving, Koh Lanta has friendly locals, accommodation options for all budgets and it’s an idyllic island for kicking back and relaxing while watching the sunset. Koh Tao is a Thai tropical island paradise with white sand beaches fringed with palm trees, rugged cliffs and stunning sunsets. Koh Tao is a popular choice with many as it offers diving conditions suitable for all levels (including entry level) as well as plenty of activities on land and a range of accommodation. From Koh Tao it’s possible to visit Sail Rock (Koh Phangan) for those who are hoping to encounter whale sharks during their trip. Koh Tao is a perfect island for those who are looking for diving combined with unwinding and enjoying the island vibes. Koh Phi Phi remains one of Thailand’s most popular holiday destinations after garnering world-wide fame when it featured in the Leonardo Dicaprio movie “The Beach”, almost 20 years ago. 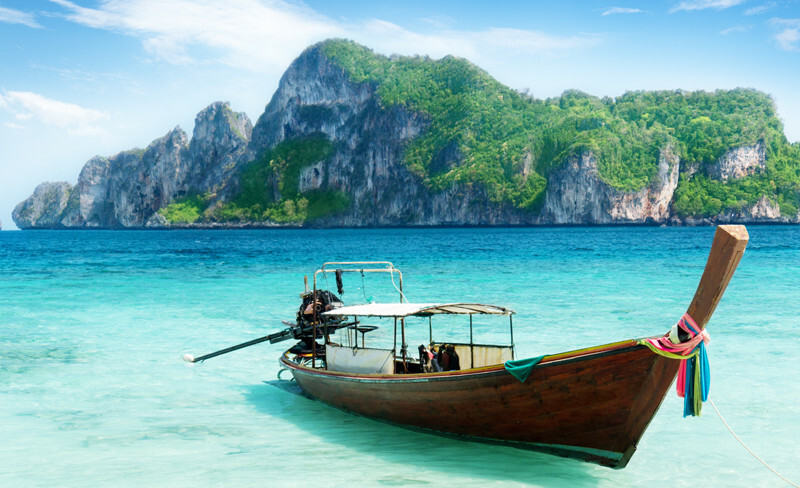 Koh Phi Phi is still a place to explore white sand beaches, beautiful coves and bays as well as a range of dive sites. The island’s rugged limestone cliffs and pinnacles above the surface are complemented by colorful, shallow coral gardens below. Koh Phi Phi’s most famous dive sites include the King Cruiser Wreck, Anemome Reef and Shark Point. It’s also possible to dive the legendary Hin Muang and Hin Daeng (which are located slightly further afield) to spot manta rays and whale sharks. Not planning on staying on Koh Phi Phi? Day trips can also be organised to the island and its surrounding waters from Phuket or Ao Nang Krabi. If you’re looking for a Thai Island that’s off the beaten track then Koh Lipe is remote, peaceful and home to some excellent dive sites. This picture postcard island with pristine beaches is located on the border of the Tarutao Marine Park. Diving around Koh Lipe defines the term ‘diversity’ with a range of species including dugongs, dolphins, turtles, minke whales, sperm whales and an estimated 25% of the worlds tropical fish species! You may have a longer journey to reach Koh Lipe but it is well worth the effort. Koh Phangan is situated between Koh Tao and Koh Samui so it’s an ideal location for those who intend to island hop during their trip. Sail Rock is Koh Phangan’s most renowned dive site and one of the most famous in all of Thailand. Sail rock is a pinnacle in the open ocean which attracts marine life and pelagics, like metal to a magnet. This incredible dive site is also best known for its whale shark sightings. On land Koh Phangan has beautiful beaches and a buzzing night life. Whether you are looking to relax and unwind or party until dawn, Koh Phangan caters for all. 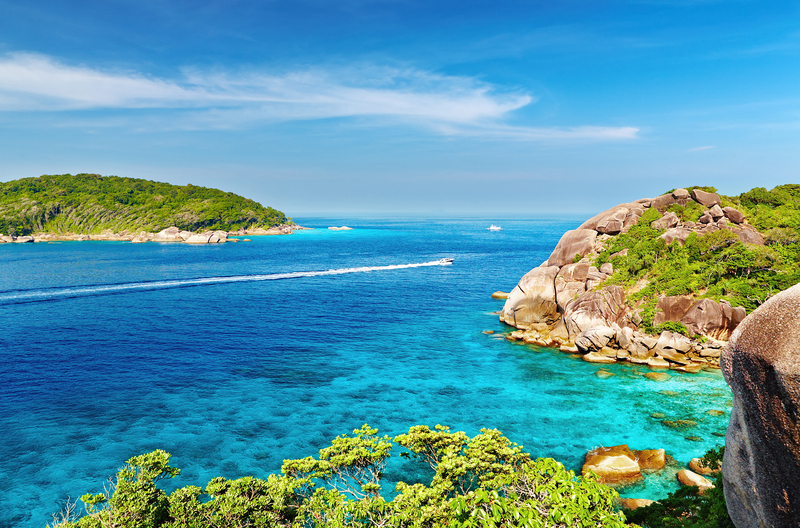 Koh Racha is one of Thailand’s easiest islands to access as it’s located just a short distance from Phuket. Despite it’s proximity to one of Thailand’s busiest tourist destinations, Koh Racha is a wonderful place to escape the hustle and bustle. One of the highlights of Koh Racha is that it offers good shore diving options for those who really want to take it easy and just dive from the beach. 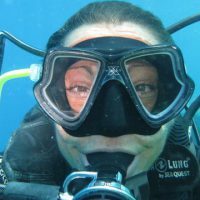 Unlike many other spots in Thailand which are easily accessed through day trips, the Similans are best dived by liveaboard. 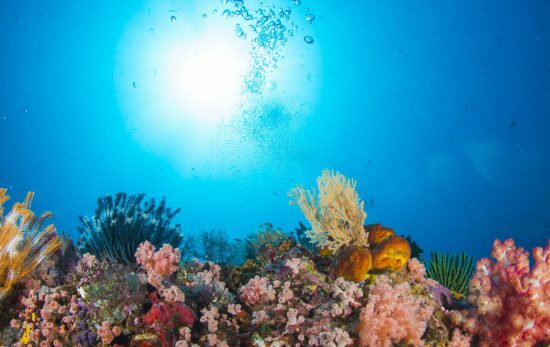 The Similans arguably offer some of the best dive sites and coral reefs in Thailand. Whale sharks, manta rays and other pelagics are spotted here and while a liveaboard may require more advance planning, it’s definitely worth the extra effort! This bustling island destination is a popular choice for those who want to be in central base with easy access to other areas and a range of different activities. From Koh Samui, most dive operators will take you to discover the dive sites at nearby Koh Phangan (including Sail Rock) and Koh Tao. Therefore, you may experience longer boat rides but when back on shore there are plenty of other options on Koh Samui to keep you entertained – especially if you are seeking lively night life. If you’re hoping to mix up diving with island life, beaches and rainforests then Koh Chang is an excellent choice. The island has retained a very bohemian and relaxed atmosphere. Here you’ll find abundant opportunities for exploring natural beauty spots and wildlife – both underwater and on shore. The Koh Rang National Park is packed with kaleidoscopic dive sites packed with a wide range of marine species. If you’re hoping to dive the Similan and Surin Islands, then Khao Lak is an essential stop off point. You’ll be able to explore some of Thailand’s most famous dive site from here, including Richelieu Rock, Koh Bon and Koh Tachai. Khao Lak is big fish territory where you have the chance to glimpse whale sharks and manta rays which are attracted to the regions colorful and vibrant coral reefs. When you’re not exploring by boat, Khao Lak offers over 20 kilometers/12 miles of white sand beaches, incredible sunsets and a chilled out, remote island culture. 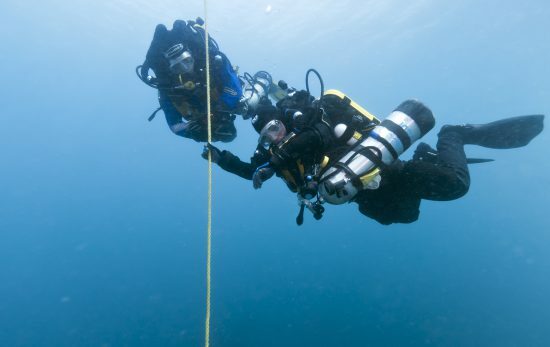 So has your appetite been whet for a scuba diving trip to Thailand? Locate a PADI Dive Shop in the region of your choice and start exploring the hidden tropical beauty of Thailand today!